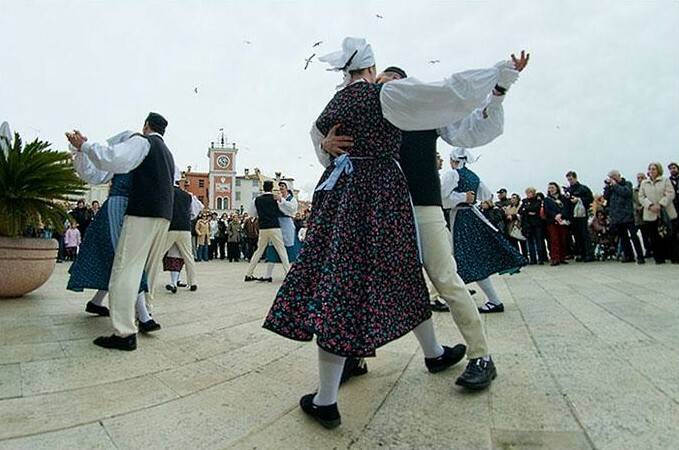 Rovinj folklore is represented by the Stjepan Žiža (Rovinjsko Selo) and Plesarin cultural and artistic associations, which maintain and preserve the traditional Istrian heritage and customs (costumes, music, songs, dialects). Their performances aim to popularize the original cultural heritage, including dances, vocal and instrumental music and other types of customs. In summer, these cultural and artistic associations often perform in the town centre and thus offer a display of customary lore to both locals and guests.